Is treating your acid reflux increasing your risk of dementia? Prilosec, omeprazole, Nexium, and other proton pump inhibitors (PPIs) suppress stomach acid, reduce symptoms associated with esophageal reflux and peptic ulcer disease, and assist in ulcer healing; short term (days to weeks) use for diagnosis and treatment often makes sense. However, that pesky stomach acid also happens to be a key component of a healthy metabolism, so it shouldn’t surprise us that suppressing it long term may have side effects. Weigh the pros and cons of PPIs carefully with your physician and explore the alternatives. Benefits of PPIs: Prilosec and other PPIs ease the discomfort of gastroesophageal reflux (GERD) and may reduce the risk of esophageal cancer in patients with Barrett’s esophagus, which is a serious complication of GERD. Potential harms from long-term use of PPIs: The downside of chronic use of PPIs include dementia ; stroke and heart attack ; kidney disease ; infections including pneumonia and C difficile diarrhea ; low magnesium and B 12 levels ; altered gut microorganisms ; stomach cancer ; and broken bones . Carefully consider the risks from this group of medications when deciding whether to take them for more than a few weeks. Schedule a visit with your physician to discuss the risks and benefits as well as alternatives. For most GERD sufferers there are some fundamental lifestyle steps that can both reduce symptoms and risks – including risk of esophageal cancer – while minimizing medications: avoid sugars and starches; increase intake of high fiber foods such as vegetables; get daily exercise; eat probiotic foods such as fresh sauerkraut, kefir and yogurt; and reduce weight around the middle. Some traditional folk remedies can also be effective. If you decide to tackle GERD head on, and eliminating medications is a reasonable option, it’s important to taper PPIs rather than stopping them cold turkey, coordinating with your physician as you do this. As well as reducing or eliminating the need for PPIs and feeling better, you will enjoy the added benefit of improved blood pressure, cholesterol, and cancer risk! These choices protect the joints from excessive mechanical forces while also improving the ability of the joint to repair itself. Too much weight around the middle combined with excess sugar and refined grains plus too little activity create a cascade of metabolic effects that accelerate wear and tear on joints. They start to hurt, and next thing you know your doctor is talking about joint replacement. his knee stopped hurting, and he felt better than he had for decades. Five years later he still has his original knee and still needs no blood pressure or diabetes medications! 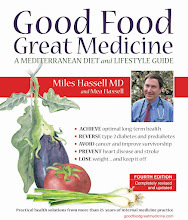 Reduce excess waistline and weight (see page 60-61). Avoid added sweeteners and refined grains (see pages 42-46 and 73-77). Keep active. You’ll also find tips for daily exercise on pages 50-55, especially the tips for arthritic joints like trekking poles on page 53.